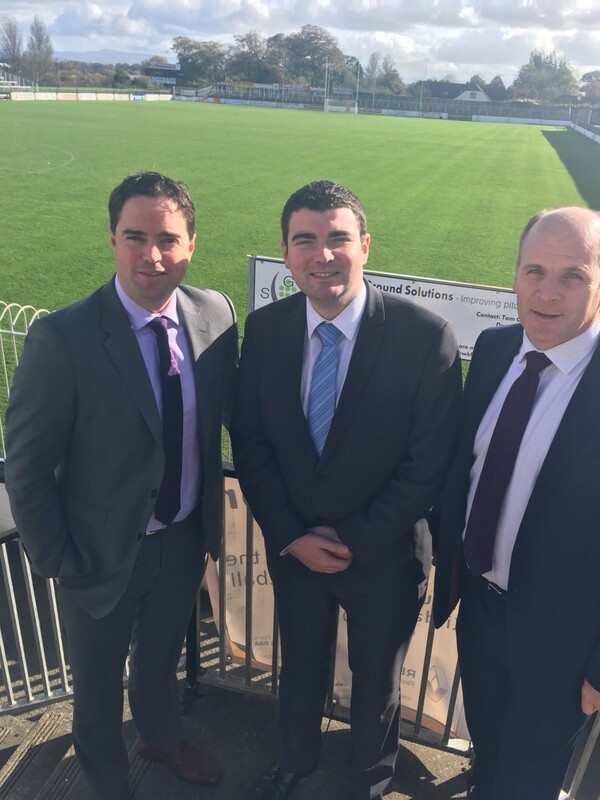 Fine Gael TD for Kildare South and Chairman of the Parliamentary Party, Martin Heydon, has welcomed funding of €143,000 in regional sports capital funding for Kildare Organisations. This includes €94,500 for St Conleths GAA County Grounds in Newbridge, in addition to €30,500 to Golden Falls Water Ski Club in Ballymore and €18,000 for Horse Sport Ireland. The funding was confirmed by Minister for Sport Shane Ross today. ”I am pleased to see further investment in Kildare sporting facilities confirmed today. I brought Minister of State with responsibility for sport Brendan Griffin to visit St Conleths Park in October of this year where he met with members of the County Board and heard details of their ambitious development plans from County Board Chairman Ger Donnelly and chairman of the redevelopment team Padraig McManus. “The overall redevelopment plans for St Conleths are vast and set out in 3 phases. The County Board will be applying to Government early in the New Year to be part of a new €50m fund announced to fund large scale regional sports projects around the Country and I will continue to give them my full support. “In the meantime there is lots of work needed on the grounds to make it ready for Division One games next year which this funding will go towards. These works include upgrading of the dressing room and pitch widening. “Horse Sport Ireland funding of €18,000 will go to Eventing Ireland to help purchase specialist ground improvement Equipment to reduce the risk of injury to equestrian athletes, particularly at the High Performance Level. The machine will create consistent conditions on all competition areas at their events. As availability of this equipment is currently limited they are not able to service all events as required. “Golden Falls Water Ski Club will benefit from €30,500 to upgrade their facilities in Ballymore to ensure increased participation for both beginners and advanced level water skiers. The club was established in 1959 and has hosted numerous Regional, National and International events. In 2014 the club relocated to a new property that is owned by the members. They currently need a new jump ramp and measuring system, rescue boat and ski equipment. Once these are obtained the club will be considered by the National Governing Body as a regional facility with the capability to host national and international events and make it one of Irelands top training facilities for both tournament and recreational skiers.